Projectos documentais e humanistas / Documental and humanist projects. All around the Mediterranean, cork forests grow naturally and are native to the land where cork is harvested. They do not supplant other best uses of the land, they are the best use, perfectly adapted to the soil, the water, the geography. They both benefit from and shape the environment where they have grown for thousands of years. They are a valuable resource that provides food and habitat for indigenous mammals and birds, cover for other flora and protection against erosion. Many products today claim sustainability; few live up to the pledge. For example, some synthetic corks today are made from plastics made from sugar cane, and are claimed to be 100% sustainable and carbon negative. What was displaced to plant that sugar cane? What deforestation occurred? What damage is that sugar cane doing to the environment when the fields are burned after the harvest? What processing was necessary to turn a cane stalk into a piece of plastic? Such claims cannot bear up under the slightest scrutiny. Cork’s sustainability is based on biology and is incontestable, recognized by the World Wildlife Fund, the Rainforest Alliance, and other environmental organizations. The bark is harvested without damage to the tree, which after harvesting immediately begins to grow new bark. After nine years the bark is ready to be harvested again. This process can repeat itself for up to 200 years, making cork one of the world’s most environmentally friendly and renewable natural resources. Cork harvesting is an environmentally friendly process during which not a single tree is cut down. Wine drinkers have to demand that their favorite wine store stocks bottles with cork stoppers. 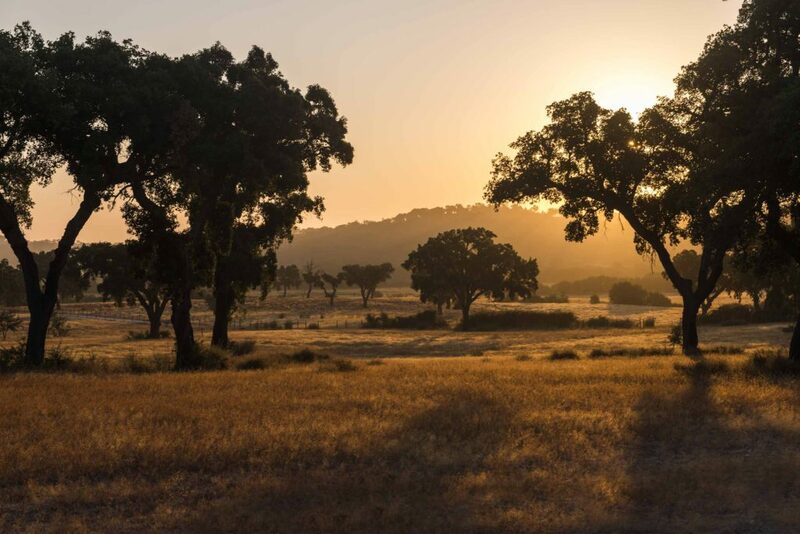 The wine industry can promote the use of cork bottle-stoppers in recognition of the environmental and socio-economic value of cork oak landscapes. WWF supports cork because it is natural and recyclable and it supports jobs and biodiversity. Each time the bark grows back, it removes CO2 from the atmosphere, holding it within its cells where it remains even after the bark is made into cork stoppers or flooring or any other product. In fact, each stopper holds within it 113gm of CO2. In creating a natural cork stopper, processing is minimal, without additives, glues, and less use of energy than used to produce other stoppers. Each stopper is 100% recyclable and can be used in a variety of applications, from artistic projects to construction materials. For these reasons, cork is truly carbon negative and a rare agricultural resource that is an important asset in fighting climate change and desertification. Finally, the skills needed to harvest cork bark have been handed down through generations, and the workers are among the highest paid agricultural workers in the world. In this way the cork industry supports not only the environment, but entire multi-generational families and communities – indeed, an entire culture.